Dr. Stahl's controversial post on the evils of pharmascolds and antipsychiatry has attracted nearly as many comments as all of his prior blog posts combined. Most of the comments have been highly critical of his viewpoint. But we have yet to hear a response from the man himself. However, his medical writer, Debbi Ann Morrissette, PhD, has just mounted a spirited rebuttal to my comment. At the end of her comments, she writes that she will try to post it as a comment on my blog, but she fears that it will not show up because, in her words (and her capitalization): "MOST COMMENTS THAT ARE NOT "ANTI-PHARMA" ARE CENSORED THERE AND NOT POSTED WHEN SUBMITTED." Well, I can assure her that I very rarely reject any comments on my blog--unless they use extreme profanity or appear to be libelous. Just to save her the trouble of registering with Google, I will post her entire comments as a regular blog entry below. The following was originally posted on August 31, 2011 by Debbi Ann Morrissette, PhD, as a comment on Dr. Stahl's blog post, "Are future psychiatric treatments doomed? Be careful what you ask for...you just might get it." 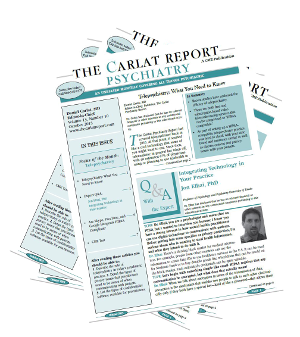 Re: Are future psychiatric treatments doomed? Be careful what you ask for...you just might get it. Dr. Stahl: Your rant is long on rhetoric but short on fact. Your key argument appears to be that increasing regulations on pharmaceutical marketing techniques have led to the drying up of the CNS pipeline. While you provide no evidence to back up your argument, there are many reasons to question this. 1. Other fields of medicine have seen a boom in new agents--diabetes, oncology, and cardiology are examples. New rules in academic medical centers limiting participation in speaker’s bureaus, access to drug reps, and gifts from drug companies have applied in these fields as well as psychiatry--but appear not to be limiting innovation. 2. In psychiatry, many potentially novel agents have been developed and tested during the "pharma-scold" era but have failed in clinical trials because they have simply not worked, not because medical schools have told their faculty not to accept money to tout them. Examples are numerous, and include Substance P antagonist and mifeprestone for depression, J & J's anti-amyloid bapineuzumab for dementia (along with many other anti-amyloid agents from other companies), and Lilly's anti-glutamate agent mGlu2/3 for schizophrenia. 3. Drug companies have introduced many psychiatric medications over the last two decades, but they have made the business decision to invest heavily in me-too agents, some of which, such as Pristiq and Invega, are embarrassingly blatant patent-extenders with no clear advantages over existing agents. Perhaps if companies had invested more resources into developing truly novel compounds, they wouldn’t be in the pickle they are in. FACT: THE SUBSTANCE P ANTAGONISTS WERE NOVEL, AS WERE THE CRF1 ANTAGONISTS, NEUROKININ 2, NEUROKININ 3, BETA 3 AGONISTS, AND MANY OTHERS THAT FAILED TO SHOW CONSISTENT EFFICACY. AGOMELATINE IS NOVEL AND FACES AN UNCERTAIN FUTURE IN THE US BECAUSE OF POTENTIAL HEPATOTOXICITY. OVER A DOZEN NOVEL MECHANISMS WERE ADDED ON TO ANTIPSYCHOTICS TO TEST COGNITIVE IMPROVEMENT, FROM 5HT6, TO NICOTINIC AGONISTS, AMPAKINES, MANY MORE. THE FACT IS THAT INDUSTRY IS PUNISHED FOR PURSUSING TRULY NOVEL COMPOUNDS AND REWARDED FOR ME TOOS. The reason that some companies are pulling out of CNS drugs is not because of the Carlat Blog (though I’m flattered that you believe I have so much clout) but because the brain is incredibly complex mechanism and we yet to work out the basic neurobiology underlying mental illness. 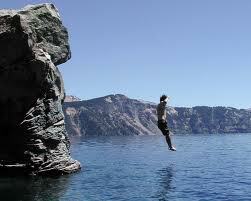 As a psychiatrist, I prescribe drugs all the time and I know both their promise and limitations. Far from being “anti-psychiatry,” I would welcome novel drugs to ease my patients’ suffering. Please show us some evidence for your position. That would be better than more low blow ad hominem attacks on those of us who are trying to improve the pharmaceutical industry by making it more ethical. THIS MAY BE A BIT THIN SKINNED ON DR. CARLAT'S PART AND IS FACTUALLY INCORRECT. DR. STAHL'S POST STATED THAT THE SITUATION DELIGHTED ANTIPSYCHIATRY AND PHARMASCOLD BLOGS BUT HE DID NOT MENTION ANY PERSON, AND STATING THAT THOSE BLOGS (AS WELL AS SOME OF THE COMMENTS ABOVE ON THIS BLOG) HAVE ANTIPSYCHIATRY, ANTIMEDICATION AND ANTI-PHARMA COMMENTS IS SELF EVIDENT, AND DOES NOT COMPRISE AN AD HOMINEM ATTACK. ALSO, CORRECTING ERRORS HERE BY DR. CARLAT IS NOT AN AD HOMINEM ATTACK. ON THE OTHER HAND, CALLING DR. STAHL THE ENEMY, ACCUSING HIM OF GOING OFF THE DEEP END, HAVING BLOGGERS ACCUSE HIM OF BEING MENTALLY ILL, SAYING THAT HE HARMS PATIENTS BY DIAGNOSING MENTAL ILLNESS AND TREATING WITH MEDICATION ON THE OTHER HAND, ARE AD HOMINEM. I WILL TRY TO POST THIS SET OF FACT CHECKS ON THE CARLAT BLOG, BUT MOST COMMENTS THAT ARE NOT "ANTI-PHARMA" ARE CENSORED THERE AND NOT POSTED WHEN SUBMITTED, SO IT PROBABLY WILL NOT BE SEEN THERE. Has Stephen Stahl Gone Off the Deep End? You Decide. A reader of my blog alerted me to this rambling blog post by Stephen Stahl on his NEI blog. I've pasted his article and my response below--or you can read the whole thing on his site. I’ll be curious to hear your thoughts. "Are future psychiatric treatments doomed? Be careful what you ask for...you just might get it." Nobody likes drug companies these days. Worse than tobacco companies and big oil companies! Supposedly they have ruined CME and have corrupted psychiatric experts as consultants, lecturers and research grant recipients! Drug companies only engage in expensive patent extension gimmickry and offer no true innovations! Let’s criminalize the marketing of psychiatric drugs, levy billions in fines to Pharma, force out their CEOs and even make them and their Pharma collaborators take the “perp walk” on their way to court in chains and orange jumpsuits and in front of the cameras! Get out of our professional societies! Get out of our journals! Get out of our medical centers! Good riddance!!! Well, if that is what we have been asking for, we are now getting it. Drug companies have already largely pulled out of our meetings, our live CME and our medical centers. 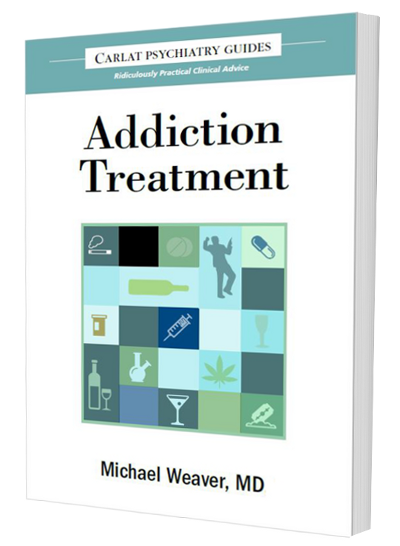 Next, the Pharma-scolds want Pharma to stop doing even legally sanctioned FDA activities such as peer-to-peer dinner meetings (many academic faculties now banned by their medical schools from participating), sampling by sales reps (many clinical centers ban reps), and legal freebies (no coffee or bottled water even allowed in Massachusetts let alone a book). 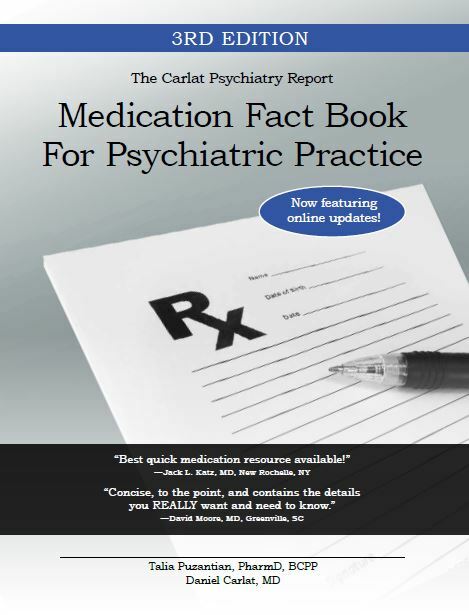 If these Pharma nay-sayers and payors had their say, the new “American Textbook of Psychiatry” would be the Physicians Desk Reference with religious adherence to following the label. This in a field where over half of legitimate practice is off label! And this is progress? Pharma have heard these protests loud and clear and are now pulling out of psychiatric research. Two of the biggest defectors are the two British companies Astra Zeneca and GSK, who have shuttered all their laboratories for mental health research for good, closing facilities all over the world including those the US, UK and Italy and elsewhere. Also, Pfizer bought Pharmacia/Upjohn and closed their CNS research center in Kalamazoo, Michigan; bought Parke Davis and closed their CNS research center in Ann Arbor, Michigan; bought Wyeth and closed their CNS research center in Princeton, NJ; and then for good measure closed their own CNS research center in the UK. Merck closed their CNS research center in the UK where I worked in the 1980s, then bought Organon/Schering Plough and closed their CNS research center in the UK/Scotland for good measure. I could go on and on. This has had a devastating impact especially on the US and the UK. In fact, the UK has gone from a leader in CNS Pharma Research Centers, to having no big Pharma CNS research at all, with thousands of unemployed R and D scientists there and no prospect of CNS therapeutic innovation coming from their shores in the foreseeable future. Undoubtedly this is to the great delight of the anti-psychiatry community, lights up the antipsychiatry blogs (e.g., Carlat, http://carlatpsychiatry.blogspot.com/ ), who attract the Pharmascolds, scientologists and antimedication crowd who believe either there is no such thing as mental illness, that medication should not be used, or both. Did you know that psychiatric illnesses are pure inventions of Pharma and their experts to treat patients that do not exist with drugs that are dangerous and do not work with the purpose only of profiting themselves? Stop the profits! Make mental illness go away by legislation and committee! Treat human mental suffering with love and peace and all will be well! Who needs mental health professionals and their diabolical drugs anyway? If we shut down, then we and our patients with depression, schizophrenia and other mental illnesses lose hope for any improvement in their situation in our lifetimes. I still think we can innovate (Stahl 2006), but we need a new model and I will get back to you with suggestions from the Royal Society of Medicine meeting when I return. Some good ideas are coming mostly from Europe as the US is still intent on shutting down Pharma. As a former Lilly president told me recently, “We will someday be a great Chinese drug company.” To reverse this trend and keep this industry in the US, we can try to support innovation through the NIH, and I have volunteered to serve on advisory committees on new drug development if that ever gets off the ground; but this NIH drug development effort is now threatened by the current US budget austerity. We can try to do it though academia, or small companies. The ECNP (European College of Neuropsychopharmacology) of which I am a member has some creative ideas which I strongly support such as trying to persuade drug companies to share the information they already have, putting details of their research and unused potential drug discoveries into a "medicines chest" that outside organizations can exploit, with the ECNP providing insurance against any potential litigation. Medicines for brain disorders take longer to develop than for other conditions - on average, 13 years - and there is a high failure rate. It looks like the UK and the Europeans are much more active in trying to resuscitate mental health therapeutics, while we in the US remain hell bent on destroying what is left of it. We can join the British and the Europeans and move forward, or we can completely kill this industry and wait a decade or two, while experiencing no progress and thus leave a legacy of no innovation and no apparatus to innovate. We will have to see if our children or grandchildren who become mental health professionals want to rebuild a Pharma industry that is interested in mental health or if yet another industry leaves the US for good. Be careful what you ask for. You might just get it. The reason that some companies are pulling out of CNS drugs is not because of the Carlat Blog (though I’m flattered that you believe I have so much clout) but because the brain is an incredibly complex mechanism and we have yet to work out the basic neurobiology underlying mental illness. As a psychiatrist, I prescribe drugs all the time and I know both their promise and limitations. Far from being “anti-psychiatry,” I would welcome novel drugs to ease my patients’ suffering. Syracuse Restaurant Becomes "Pharmaceutical Dinner Facility"
In a rather embarrassing attempt to raise revenues, a restaurant in Syracuse, New York, is now explicitly marketing itself as a purveyor of drug company dinners. 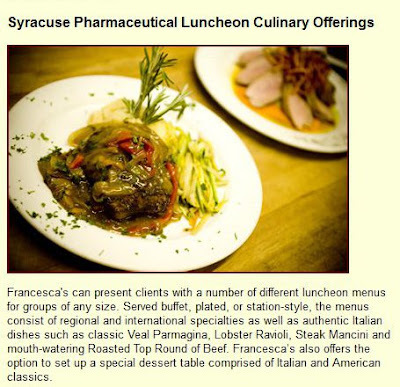 Francesca's Cucina, "Located in the heart of Syracuse's Little Italy," according to its website, offers a private banquet room, a private outdoor courtyard, and regular tables and a bar to drug companies wanting to use fine food and alcohol to convince doctors to prescribe their drug over a competitor's drug. Massachusetts passed a law banning such tactics in 2009, and I have posted about restaurants' unsuccessful efforts to repeal that law. In one post, I coined the term "trickle down deception" to describe restaurant owners' rationalizations of drug company dinners. This is the unfortunate process in which otherwise moral business owners blind themselves to the ethical implications of their decisions. The deception supply chain trickles down from manipulative promotional plans of drug companies to hired gun doctors, restaurants, advertising companies, medical writing companies, etc.... Basically, if the money's out there, someone will grab it. Yes, as they say on their website, "Francesca's Cucina is the premier facility for pharmaceutical dinners in the greater Syracuse area." It's a sad state of affairs when a restaurant brags about such a thing. Hat tip to Steve Balt, MD for alerting me to this website. 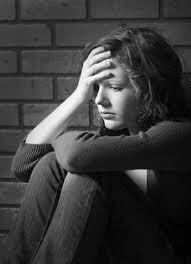 A Blood Test for Depression? Really? This month's Psychiatric Times has an interesting article (requires a subscription) about putative blood tests for diagnosing schizophrenia and depression. Because most of my patients have either depression or anxiety, I skipped to the section on a new depression blood test marketed by Ridge Diagnostics. Called the "MDDScore," the test measures 10 biomarkers, including cortisol, brain-derived neurotrophic factor, prolactin, and several other chemicals I never heard of. According to the Psych Times article (which was based on a presentation at the APA's annual meeting in May), the test has been validated by comparing 80 depressed patients with 50 healthy individuals. A test score of 6 to 9 was "highly predictive" of depression, and statistically differentiated the depressed from the healthy. But I'm skeptical about this test. Why? First, none of the data have been published in a peer-reviewed journal, though I presume some have been submitted. Second, how useful is a depression blood test if all it can do is to differentiate depressed people from healthy people? I'll wager that my teenaged daughter would be just as accurate as the MDDScore in differentiating a depressed person from a healthy person based on a 5 minute conversation. Imagine buying an electromagnetic field detector to determine whether a shirt is red or blue. Sure, it will work, but the eyes can do it more quickly and for free. 1. Can the MDDScore differentiate depression from any other psychiatric disorder, such as anxiety disorders, adjustment disorders, bipolar disorder, substance use disorder, ADHD, and psychotic disorders? I'm pretty certain that the necessary studies have not been done. If the test cannot distinguish different psychiatric problems, then the MDDScore is simply a non-specific "biomarker" for emotional difficulties of all stripes, and would be essentially useless. 2. Does the MDDScore detect depression as well as the PHQ-2, which consists of two simple questions: "During the past month have you felt depressed or down? During the past month have you been bothered by having little interest or pleasure in doing things?" A high score on these two questions is 83% sensitive and 92% specific for depression (see reference here). Can this $745 blood test even approach these numbers? Until Ridge Diagnostics can provide compelling answer these two questions, the money paid for the test is, more than likely, money down the drain.